HackerRank's CodePair integrates with Lever to facilitate a seamless hiring process for companies. CodePair is an efficient tool for recruiters and technical managers to conduct interactive coding interviews with Candidates located remotely. The integration with CodePair allows Lever users to directly start or schedule coding interviews with their Candidates. This article provides you with detailed steps to integrate Lever with HackerRank's CodePair. To know how to use the integration and schedule CodePair interviews from Lever, see CodePair interviews with Candidates in Lever. You must have relevant administrative permissions to the Integrations settings page. Step 1: Obtaining the Webhook Signing token and API Key from Lever - for real-time data integration between Lever and HackerRank accounts. Step 2: Obtaining the Webhook URL from HackerRank and adding it in Lever - To send Lever's requests to CodePair. Log in to Lever, and click Integrations from the Settings menu. Under Webhook signing token, click Regenerate and copy the token. Click the Partner Integrations tab. Scroll down in the page to the Interviewing section, and enable the HackerRank CodePair option. Click Generate New Key. Copy and save the generated API key immediately. You cannot reaccess this key after you click Done. Click Done. Retain the copied Webhook signing token and API key to be added in HackerRank. Log in to HackerRank for Work as a Company Admin user. Click API access, and navigate to the Lever integration area. In the respective fields shown below, click (edit) to add the API Key and the Webhook signing token obtained from Lever, and click (save). HackerRank creates the Webhook URL. Copy this URL. The integration completes when you add this URL in Lever. In Lever, navigate to the Webhooks tab in the Integrations page. Click the Webhooks tab, and under Webhook Configuration, turn-on the Candidate Stage Change event. In Lever, this is the event trigger which sends an interview link request to CodePair. 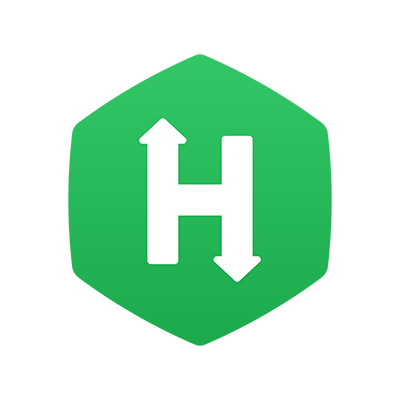 Click Add Webhook for the Candidate Stage Change event, and add the Webhook URL obtained from HackerRank. Click Verify Connection. When the URL is verified, you will see a check mark displayed. You can include or remove the 'https://' from the HackerRank URL. A profile must have the Candidate's name and a valid email address. A profile must include the "HackerRank CodePair" tag or be linked with a Job which has the same tag. When the Candidate stage is changed, a CodePair link is automatically added in the profile. Recruiters can click this link to quickly start or schedule an online CodePair session to assess the Candidate. For more information, see CodePair Interviews with Candidates in Lever.